1. Review the Tuition Agreement and Statement of Christian Beliefs. Parents/guardians enrolling a student must agree with the terms of both of these documents. Note: FACTS charges an Application Fee of $50 for the first child and $25 for each additional child. 3. Once the Application Form is reviewed for completeness and is accepted, you will receive an email to complete the Enrollment Form. 4. Complete the Enrollment Form. The enrollment fee is per family and will be collected in the process of completing the Enrollment Form. February 1 – 14 – Returning Enrollment Period. Current families may enroll during this period. February 15 – Beginning of Open Enrollment. All families may enroll. Upon enrollment via FACTS Management, parents will select either the Mon/Wed program, or the Tues/Thur program. February 1 through April 30 – Early Enrollment Fee of $250. Enrollments completed and fees paid by May 1 qualify for discounted Enrollment Fee and Tuition. May 1 through June 30 – Regular Family Enrollment Fee is $350.00. July 1 through September 15 (late enrollment) – Late Family Enrollment fee is $450.00. September 15 through Dec. 31 – In addition to the enrollment fee, a $100 Integration Plan Fee per student is assessed. This fee covers the teacher’s time to develop an individual Student Integration Plan for mid-year enrollments. Enrollments are not accepted in Spring semester except by special permission from the School Director. ($291/mo on 12-month FACTS tuition plan.) Annual Tuition and Supply Fee for the Core Program (Monday/Wednesday or Tuesday/Thursday program). ($300/mo on 12-month FACTS Tuition Plan.) Annual Tuition and Supply Fee for the Core Program (Monday/Wednesday or Tuesday/Thursday program). ($317/mo on 12-month FACTS Tuition Plan.) Annual Tuition and Supply Fee for the Core Program (Monday/Wednesday or Tuesday/Thursday program). Payable with Enrollment Form. One fee per family (for any number of students); non-refundable. Estimated costs; varies by grade level and parental purchasing choices. Parents purchase curricula from the vendor/retailer of their choice according to the Trinity Prep Curriculum List. Available to 6th-12th grade students. Students attend Learning Lab on either Monday and Wednesday, or Tuesday and Thursday, opposite the days they attend for the Core Program. Students study independently on campus, but have access to a teacher who can provide support for the student’s independent study. Students may be enrolled in one or two days per week. Students take regular breaks, including lunch, throughout their Learning Lab days on campus. For students with learning differences, we provide a “MAP” (Modified Academic Plan) to help the student succeed with appropriate assignments and workload. 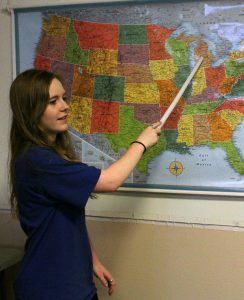 Our Education Specialist develops, implements, and monitors the MAP. Additional tuition applies to these services. For more information on these services, visit Additional Educational Services page. 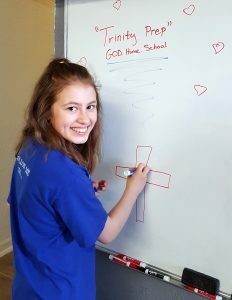 Uniform: Students are required to wear Trinity Prep uniform T-shirts, polo shirts, and hoodies as part of our dress code. These range in cost from $14-22 and are purchased from approved vendors. One-Time Payment: Parents may pay the full $3600-$4000 tuition at August Family Orientation Night. Per-Semester Payment: Parents may make two semester payments, each one-half of the tuition. Fall semester payment is due on or before August Family Orientation Night, and Spring Semester payment is due the last week of Fall Semester, in December. Monthly Payment Plans: Available through FACTS Tuition Management only. Refer to our FACTS Information page for more information. To pay tuition or fees by credit card, parents must enroll in FACTS Tuition Management and link their FACTS account to their chosen credit card rather than a bank account. 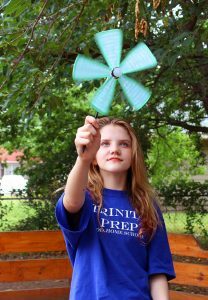 Once the FACTS account is established, all Trinity Prep tuition, fees, and one-time costs may be processed via this account. Please note – choosing the credit card option adds a 2.85% fee to the account balance. We do not use intake testing to pre-select the student population for enrollment in Trinity Prep. We serve a diverse student population which includes typical learners, academically gifted students, students with learning challenges, students on an accelerated path, and students on a modified path. 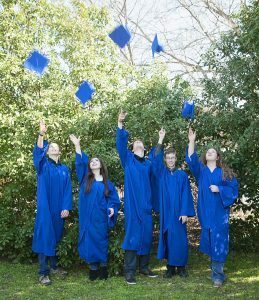 Our commitment is to make a classical, Christian education available to all students and to equip all students. Our student body population reflects ‘real world’ variety in talents and strengths. We conduct an Initial Assessment for new students to provide information to our teachers to better partner with families. We will partner with any family whose student can participate appropriately in, and benefit from, our classroom environment. It is important to remember that enrollment in a College-Style School® means the parents SHARE responsibility for the student’s education and have considerable involvement in organizing the student’s schedule, supporting good study habits, providing accountability, monitoring progress and submission of assignments, and generally supporting the student’s efforts, so that our educational goals are met. Parents who enroll their student(s) in Trinity Prep are required to participate in our Parent Academy, in which we clarify the responsibilities of the parents in this partnership, outline how we support and communicate with parents throughout the school year, and answer any questions. Students are not placed by default into their age group. While that will be appropriate for many students, the actual determinant of the student’s placement is their academic level. Our Initial Assessment provides information that can help Trinity Prep and parents to determine best grade level. We identify for parents the expected reading and developmental level for students in Elementary Grades, in order to place students correctly. Lastly, we review curricula with parents and students, to determine whether the student can interact effectively with the curricula for that grade level. High school students have the option of enrolling in 3 classes only, if there are openings after full-time students are enrolled. We allow rolling enrollment through January of each school year, if the requested grade level is not full. 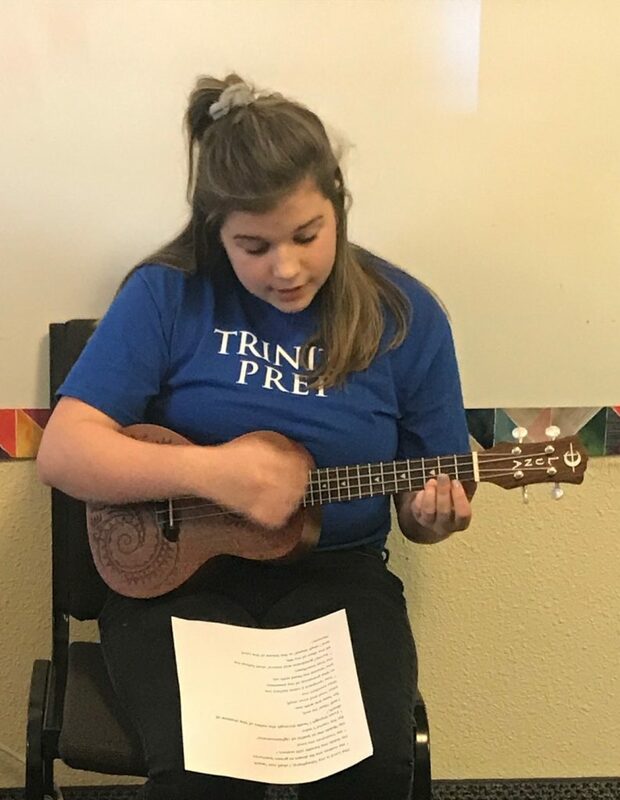 Please note that for such a mid-year transfer to be successful, the parent will need to quickly acquire Trinity Prep curricula, and work diligently with the student to catch up to his/her Trinity Prep peers. Tuition is prorated to the current month. All fees are due upon enrollment. The bookkeeper will provide exact tuition amount and payment date. We do not accept enrollments after January 18.